The husky molded mud flaps are designed to fit most trucks, suvs and are also for dually trucks. Not only will husky mud guards help shield the side of your vehicle from rock chips, the splash guards keep it clean from mud, tar and salt. Husky molded mud flaps are one of the least expensive but best ways to keep your vehicle looking top notch. They are available for the front and rear of your vehicle and are built tough to stand the test of time. Husky molded mud guards have a great design, while being easy to install. These come in a standard black finish that looks great but offer a paint friendly material which can be painted for an even more custom look. 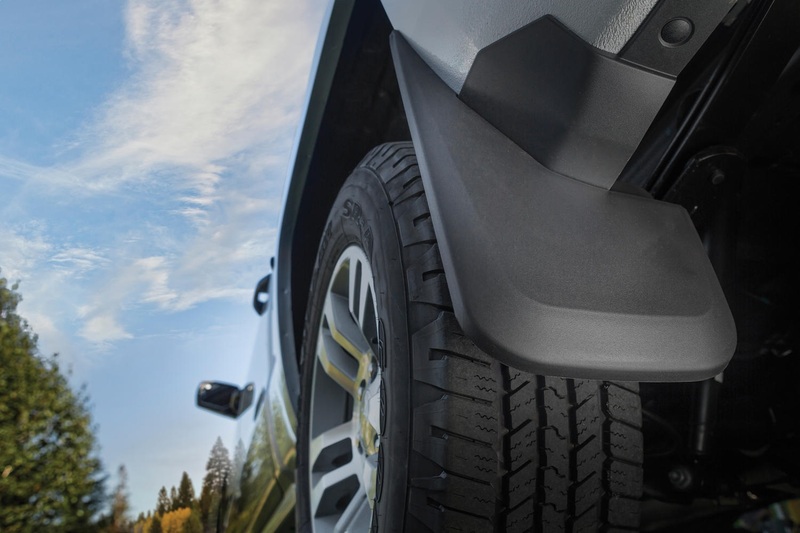 With a new age look and optimal function, these molded mud flaps are going to meet or exceed your expectations.